A new mini-festival coming back to Texas by the producers of Austin City Limits, Lollapalooza, and Shaky Beats. It’s called Camp Nowhere and its the current talk of the tri-city triangle of Texas. For the multi-day traveling affair, C3 Presents is bringing some refreshing tunes to three major cities in Texas during the scorching hot month of June. 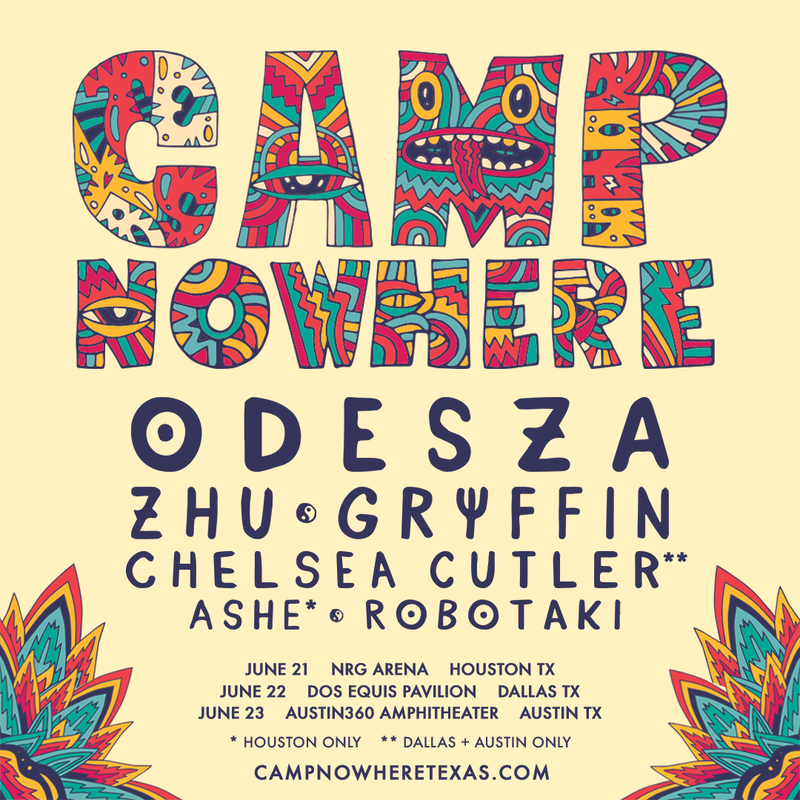 ODESZA, ZHU, and Gyffin will reign over all three shows in Houston, Austin, and Dallas on June 21- 23, with additional support from Ashe, Robotaki, and Chelsea Cutler. Music fans across the Texas EDM scene are stoked to have legendary artists at what seems to be a one of a kind curated event. Last year, it was Louis The Child, TroyBoi, and Big Wild whom headlined the event. Given their massive draw in 2018, along with new headliners whose music is more cill and “vibey,” it’s clear C3 is drawing a particular fanbase who enjoys the euphoric and the ethereal things in life. The intimacy of these Texas-sized venues will have fans feeling as though they are dancing on Cloud Nine alongside their beloved artists. Tickets for all three dates are on sale now via the festival’s official website.